The one China policy was first mentioned in the Shanghai Communique on February 28, 1972 during Nixon’s visit to China – stressing the importance for both countries to normalize relations. On January 1, 1979, the Joint Communique on the Establishment of Diplomatic Relations agreed to by Jimmy Carter and Deng Xiaoping formally established bilateral relations, ending official recognition of Taiwan, announced by Carter in December 1978. The (1992 Consensus) one China principle affirms a single sovereign China comprised of the mainland and Taiwan. One China alone exists, Taiwan an inalienable part of it, he stressed. The People’s Republic of China is its only legitimate government, “an internationally recognized fact, and no one can change it,” he explained. We urge the relevant party in the United States to realize the high sensitivity of the Taiwan issue and abide by commitments made by previous US governments to the one China policy and the principles of the three joint communiques. Normalized relations depend on it. If Trump demands Beijing play by Washington rules, trouble in the Pacific awaits him, perhaps undermining chances for improving relations with Moscow. Sino/Russian ties stress unity. Each nation strategically supports the other. Together they’re a powerful counterweight to US hegemonic aims. Harming the interests of one affects the other. Both countries will rally to defend each other’s mutual interests. Antagonizing Beijing by using the one China policy as a bargaining chip is sure to adversely affect Sino-Russia/US relations. Trump has to decide if he wants mutual cooperation with other nations or continuation of adversarial relations with sovereign independent ones. Will he be a bully or responsible leader? It’s his call for good or ill. Much depends on what he decides. 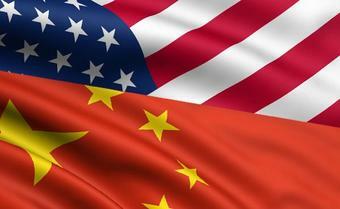 China’s credibility at home and abroad depends on the one China policy. It’s fundamentally important. Challenging or in any way disrupting it assures continuing Obama’s adversarial policy, maybe recklessly escalating it.